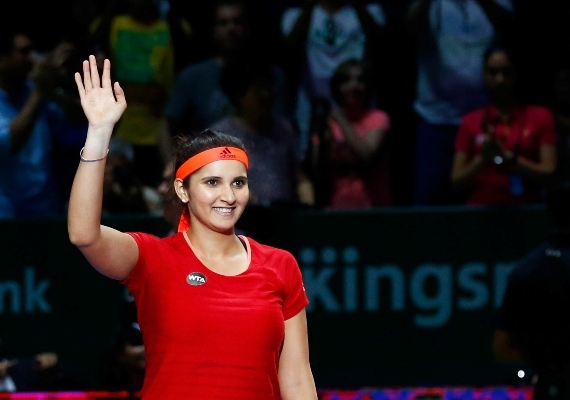 Hand Readings of famous people: Are Shoaib Malik and Sania Mirza right for each other? Are Shoaib Malik and Sania Mirza right for each other? Sania Mirza and Shoaib Malik look good together. Both are young, beautiful, successful, and are sports personalities. Both of them have seen the world and are broad-minded people with similar views. But happiness is not dependent on this. The question is: Are Sania and Shoaib matched temperamentally? A peek at their hands can give us a clue as to whether they are matched. passionate people. Their coming together has a lot to do with their passion and youth. Whether they will get along or not is another matter. Check out a hand photo of Shoaib's here and Sania's here. The photo below is a free image from Skeeze from Pixabay and is representative only. Sania’s Saturn or Fate Line indicates that she is strongly influenced by her family and is also attached to them. What could this mean? Has she been influenced by her family to choose Shoaib? This is unlikely, as she met him when she was away from home and was attracted to him. But the decision to marry Shoaib must have come from her family. After all, Sania was engaged to her childhood (family) friend, which indicates that her parents were encouraging her to settle down. As Shoaib too comes from a traditional background, he must be looking for marriage as well, not an affair. One is not sure how far the influence and support of Sania's family extends. It could be restricted to her career. Her hand does show a remarkably independent nature, but this does not mean that she is rebellious or goes against her family's wishes. It just means that she manages very well on her own, and takes her own decisions...with the full support of her family. The strong attachment to family leaves no doubt that she will not take any step without their encouragement and support. Why is she marrying Shoaib even though she knows him for a short time? One of the reasons (as mentioned above) could be the subtle pressure from family and society, which would prevent her from having an affair before marriage. But there is another reason. 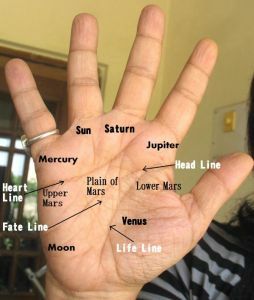 The large gap between Sania’s Life and Headlines and the way she holds her Jupiter (index) finger apart, reveals that she is bold, and tends to take quick decisions based on her feelings. As she is independent she may make up her own mind, and these decisions may not be always taken wisely. The shape of her Headline collaborates this reading, that of her impulsiveness, and so does the shape of her thumb. The Mount of Venus on Sania's hands tells us that not only is she passionate, she is loving and affectionate. Shoaib’s hands do not show this. In this relationship, Sania will be the giver. Other signs on Shoaib’s hand show that he could be difficult to live with. The major signs are narrow quadrangle, wavy headline, bent saturn (middle) finger, and developed lower Moon mount and a poorly developed Upper Mars. He is the kind of person who has a cynical mindset, and could be generally dissatisfied with life. He would find it difficult to see her point of view, and can be demanding. He would tend to see the negative far more easily than the positive. Knowing the way Sania is from her hand, if she gets into a permanent relationship with Shoaib, her loving and giving nature and strong attachment to family (of which he will be a part) will make her go all out to please him. In the long run, it will be to her disadvantage because satisfying him won't be easy. Is Shoaib lying when he says that he never met his wife? Shoaib insists that he was tricked into his first marriage, and that the woman he married was not the one believed he was marrying. Whether he is telling the truth or not is difficult for two reasons. One, because of a lack of a sufficient number of photographs of his hand (I am working with just one good one) His left hand clearly shows a calculating nature, but I am not sure of the same sign on his right hand. It is best to err on the positive side and believe that his right hand (showing his current state of mind) does not have this sign and that he is not cunning. On the other hand, his hand shows cautiousness, but this does not tell us whether he is deceitful or not. The second reason why it is difficult to say whether Shoaib was tricked into marriage is because Shoaib was just 20 when he got into his "bad" marriage. 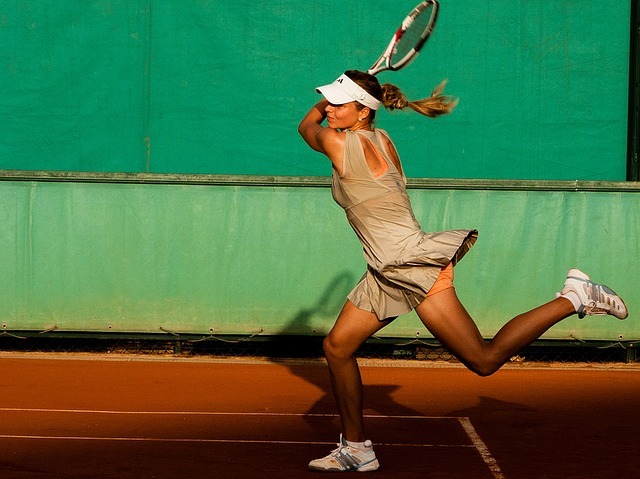 At that age, the left hand qualities could have been stronger than they are now. And then, even if one leaves the hand reading aside, one might surmise that at 20, a person can be fooled, or more likely, make a huge mistake and try to cover it up out of sheer desperation. Even an otherwise honest person can do this, and regret it later. Whether Shoaib Malik had a genuine marriage in the past or not is not really the question. The real issue is whether he is the right match for Sania Mirza. Their hands show that there will be difficulties. Here are hand readings of Pakistan's Imran Khan, and Malala Yousafzai or Yousaf Raza Gillani. Or read about Shane Warne or check out all posts filed under the label Cricket. And also check out the hand readings of other Sports Stars from Tennis and other sports from all over the world. I always wonder why Indian parents want their kids to get married...guess it becomes irritating and kids do it just keep them quiet...which means that kids don't really want and then the parents complain that today's gen, doesn't know how to get along.. I think Indian parents feel the pressure of society and give society more importance than the happiness of their child. At least that is what I believe. In any case sometimes they are right, in the sense happiness is tied to social acceptance, isn't it. Being married with a family brings social acceptance. And then divorce is not socially accepted so those who marry in a hurry and its a bad match stay stuck!! I think Sania is in too much of a hurry. She can easily wait for a few years to marry. exactly, she can wait longer. But that's her choice. But social acceptance..well by the looks of things what will happen if the moral brigade gets more foothold? I think celebs/well known ppl should set the trend and be brave..a polite example was the way Sachin spoke out and told he player for India...A brighter example is google's China policy.. If it's a problem in the society, everyone has to pitch in/lend voice...recently beckham wore the green and gold of the red knights(google to find out more) and that lent so much of support..
Maybe Indian celebs want to maintain a clean Image? And suit the common man's imagination? vishesh, overall I think celebs are not always the kind of people whose private lives are exemplary. I mean, look at some celebs, particularly film stars, they tend to lead a bohemian life. But about Sachin, ofcourse, he spoke out and that is certainly brave. I think sports stars tend to lead better private lives. As for Sania, I think she probably thinks she is being very brave marrying a Pakistani! I am extremely impressed by your blog. However, I am a little curious about one thing- You read the hands of so many famous people. All of them have a certain public reputation. How far do you rely on these pre-concieved notions and do they significantly affect you analysis of the person? Also, I wanted to know if you will give a hand reading without mentioning the future of a person. I want my hand reading done, but I'm only interested in seeing how I can better myself. Anonymous, I do get influenced by the public reputation, there is no doubt about it. But I ensure that the signs are there before I say that a person is a certain way. For example when it came to Mahatma Gandhi I looked hard to find signs to prove that he was a peaceful non-violent person, but couldn't find any. I was sure the signs were there, but just that I had not seen his hand at the right angle. At times the public reputation can be a disadvantage. For example when I was reading Roger Federer's hand I was sure I was wrong when I wrote that he was weak, but then after I had published my analysis I found out that he was indeed like that. Not being a tennis fan I had assumed he was a strong character. But as the signs were there I wrote it anyway. So to answer your question, yes, I do get influenced, in the sense I tend to look for signs of known characteristics, but I do not write anything unless I see it on the hand. And usually I write more than what is known. And ofcourse I do character analysis without the future analysis. Character is destiny, and the destiny is not fixed. I personally do not see the point of reading the future, as I believe that by improving oneself, one can improve the future. So if you email me, I will let you know the price. I spend several hours studying a hand, and therefore charge a small amount. I was a little skeptic about palmistry, but some of your posts on its true nature really erased all my questions. This is my first time here and am really very impressed by your analyses! I've been a regular follower of 'A Wide View Angle Of India' and I really learnt from your articles. Now I shall surely follow this blog for further updates! Thanks Parth, and welcome. A lot of people have a wrong impression about palmistry and that is a pity. Palmitry is based on certain principles and is logical and accurate. However it requires years of practice to be able to analyse a palm correctly.